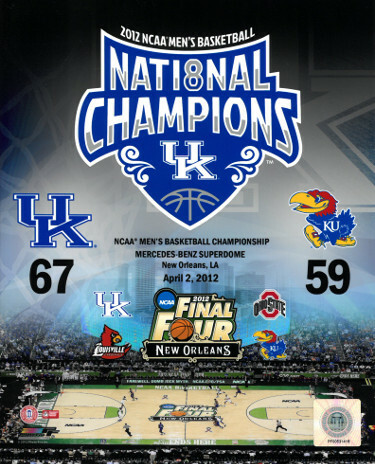 This is a Kentucky Wildcats Basketball 2012 National Champions (8) Final Four 8x10 Commemorative Photo vs Kansas. NCAA Men's Basketball Championship in the Mercedes-Benz Superdome in New Orleans, LA. Final Score Kentucky 67...Kansas 59.